The reason some images appeal to us more than others, is that they more accurately represent the idea we would like to express when using an image. Very often they are of a quality we might not be able to achieve ourselves or take more time than we have to produce them. Photographers and artist spend time, lend experience and vision to the work they create. It may not seem like stealing when you use an image you like from the internet because there are really few barriers or specific warnings, but these work products have value and must be paid for. The great thing is that there is a broad variety available, and many are not very expensive. Stock Image houses are getting much better at tracking down the products they license and are becoming stricter about the consequences. Check out this article about Getty images pursuing copyright infringers in court. As part of my work for clients, I often search across various stock image sites to find exactly the right image to tell a story about a product or service. There are certain elements which are always important, such as the color and composition, the state and feelings conveyed by any people in the image, but I am also always interested in finding images that reflect a certain genuineness and reality, images that are not so stereotypical. Here is an interesting article form the NY Times that discusses the portrayal of gender roles and the recognition of the need for broader margins in this area. The samples from Getty Images reflect a broader view that to me includes a more interesting spectrum of people, and perhaps a more realistic view of today’s social norms. Here is an interesting article about trademark infringement. On the surface of things one might not imagine that a small part time brewing operation could be any sort of threat to Texas A&M branding, especially for a small (5.6 gallons) specialty batch of beer brewed for one occasion, they named “12th Man Skittles IPA”. Remember when creating/using content, text or images, your time, effort and creativity can easily be shut down if you don’t do your trademark homework! Although I’m pleased with how these brewers turned the situation to their advantage, re-naming the batch “Cease and Desist IPA”. Here are links to two articles by Jasmine Zandler of ClickZ that help give a quick overview of how to approach the world of Social Media “Your Social Media Marketing Plan in 5 Easy Steps” and the difference between some of the top tools “Which Social Network is Best for B2B Marketing?”. Video may have killed the radio star but the internet loves it! A recent article in the Guardian says video is no longer a “nice to have” upgrade on your website, but rather that it is a “must have”. Your Great Business does an amazing job with this. Their videos look great, they are short, professional, easy to follow and useful. 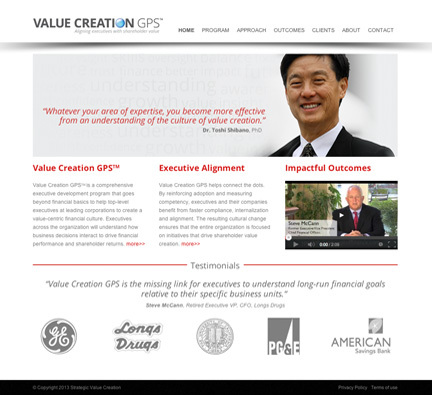 Another client who is using video in a very targeted way is ValueCreation GPS. They support their value proposition with interviews that allow the visitor to hear directly from their clients. This is extremely powerful. CL: In your opinion, what are the main marketing goals video can support? KO: Well, really there are three main goals that video can support: client testimonials, connecting in a more personal way, and product or service demonstrations.Video is a great way for your visitors to get a more personal connection with you. They allow the visitor to connect a voice and a face to your business. Client testimonials are very powerful because your visitors are hearing from actual users about your product or service and about their experience with you. Your client becomes your advocate. Lastly, using a video to demonstrate your product or service makes it easier to understand the concept more quickly. The visitor gets to experience part of the process. CL: Can you speak to the importance of production value for an online video? KO: Quality is very important. Poor quality work can do more harm than good. Nowadays we all have smart phones that can capture video but that does not make all of us brilliant videographers. Aside from ensuring reliable resolution and a more polished end product, a professional videographer can take advantage of existing snippets that can be added or can use a green screen. By shooting against a green screen, the same video can be shown against different backgrounds and can be used for different purposes or audiences. CL: How long should a video be, optimally? KO: Well, as in most things, less is more. In my opinion, Marketing or Promo videos should run no longer than a minute or minute and a half. CL: Anything to look out for when selecting a vendor for this service? KO: Ask for samples of work when looking at different providers. You can also ask to speak to a recent customer to get some feedback. Make sure they are using professional equipment, particularly for sound. You may want to ask if they do their own editing or whether they send it out. There is an advantage if they do their own because they can be in the loop creatively and it is usually more cost effective. CL: Can you give us your top “dos” and “don’ts”? Tennis now Black and White and Red all over! 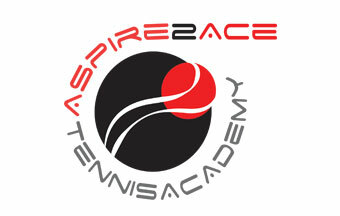 Aspire to Ace Tennis Academy’s new logo was unveiled at the year-end celebration. We wanted to use black and red because these are coach Mike Espinosa’s favorite colors and we felt it would stand out from the more traditional yellow, green, navy and/or red combinations often seen for tennis. Coach Mike Espinosa embraces a whole person approach to tennis, encouraging his players to work balance into all aspects of their lives, to promote healthy energy levels through good nutrition, sufficient rest and of course practice! The final logo incorporates a yin-yang feeling for balance, and a sense of movement. Click here to. see other proposed samples of Aspire 2 Ace logo. TLDs – you know them as the .com, .net and .org at the end of the URLs you use every day to access sites on the internet , but unless you’re in a related industry, or a modern “renaissance” individual, you’re not familiar with Top-Level Domains. With the internet expanding faster than Kudzu in a Georgia summer, ICANN, the International Corporation for the Assignment of Names and Numbers on the internet has been releasing new TDLs monthly (click to see release calendar). The very first company ever to use the .com TDL was Symbolics.com, now out of business. They registered their URL in 1985 and the URL was purchased in 2009 and is now being used for promotions and advertising by Networksolutions.com. The URL’s history, gained over the many years, is being leveraged for SEO (Search Engine Optimization) purposes and links from Symbolics.com are beneficial to those choosing the service. Please note that, although history does weigh into the algorithm for SEO, it is only a factor in the complex, ever-changing alchemy that determines how your site will rank. The new TDLs are a wonderful branding opportunity for the future and will also help categorize your business for search engines, but should you rush out today and request new URLs? 1) When will the TLD you’re interested in be released (if not available yet)? 2) Once released, the Registrars have 30-day period within which they must complete a process to build the TLDs into a program to protect trademark right holders. There are over 1000 registrars, organizations that are permitted to allocated URLs. Typically your hosting company is a registrar or has agreements with one. The good news is that you can register new URLs with anyone who has them (they do not have to come from your Hosting vendor). 3) It may take a little while for these extensions to carry any SEO weight but I wouldn’t discount getting on board early with a name that is meaningful to you. A couple of weeks ago, my daughter and I had the opportunity to visit the Los Angeles County Museum of Art. There was a James Turrell exhibit which I was fully prepared to skip but my daughter is just learning about light chromatography in school and wanted to see it, so we went in. I had seen one or two James Turrell light sculptures in the past but never gave them a second look, I just didn’t get it until this exhibit. I had read up on James Turrell, and although I did not think I would enjoy the exhibit, I found his life very interesting. He was a pilot, a cartographer, a mathematician, had studied perceptual psychology, geology and astronomy. 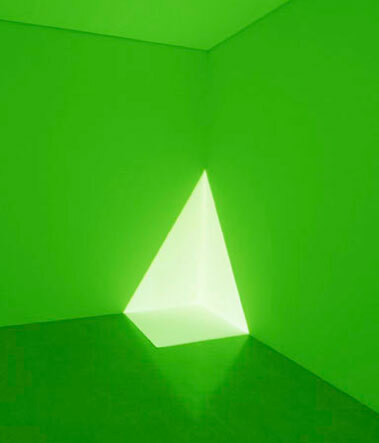 His father was an aeronautical engineer and his mother a doctor in the peace corps; a bit avant-garde for the times (James Turrell was born in 1943), but unusual also in that they were quakers. We were both completely blown away by the amazing use of light as a medium. The curation and display were phenomenal and really isolated each piece in such away that it was allowed to engulf the viewer. It is impossible to experience the effect in a photograph. The light in these pieces appears to have volume, or in the case of a framed sky, to draw you into a great welcoming void. In a world of sensory overload the simplicity had the meditative quality of being in a house of worship. It was calming and nourishing on some level I can’t really explain. I only know that in some small way I have been changed by living this experience. If you have an opportunity to experience the exhibit yourself, I recommend it highly. 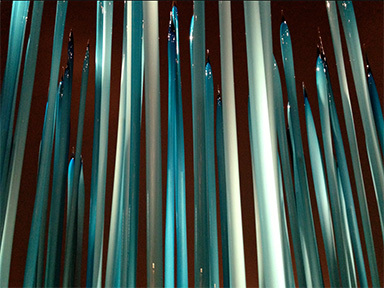 It will be at the LACMA until April 14th. I recently had a great collaborative experience with Clear Edge Inc.
Value Creation GPS is a company that helps align financial objectives from across a whole organization. Their secret weapon is Dr. Toshi Shibano who develops customized programs that fit the company structure, language and financial goals. By ensuring that all executives truly understand the impact of their individual strategies and can communicate using common terminology ensures that financial goals for individual areas of operation are aligned with the company’s overall financial goals. Video testimonials for many of his clients can be seen on his new website. 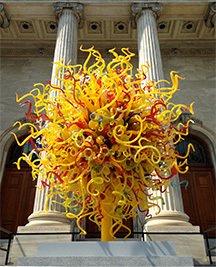 I was recently in Montreal and had the stupendous opportunity to visit the Dale Chihuly exhibit at the Montreal Museum of Fine Arts. It was breathtaking in scope. 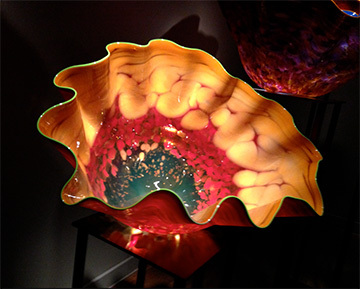 Glass and light not only on a grand scale, but shaped as if by whimsy into soft curls, huge floral bowls and elongated tubular shapes; it felt like an underwater paradise. Over the last fifteen years I have noticed more and more artists using light not only to emphasize elements within their work but as a medium that is an integral part of a given piece. 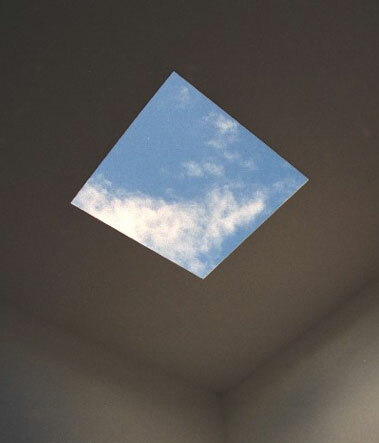 Not so much in the tradition of James Turrell and Robert Irwin but as a distinct almost concrete element. The Montreal Museum never disappoints. The curation and artful display made the experience something one could get lost in, emerging as if having had a delicious meal. The lighting was perfect and visitors were permitted to take non-flash photos. And though these cannot do justice to the experience of seeing the real thing, they bring me joy every time I look at them.